Finally Hoshino Coffee-ten came to our town ! 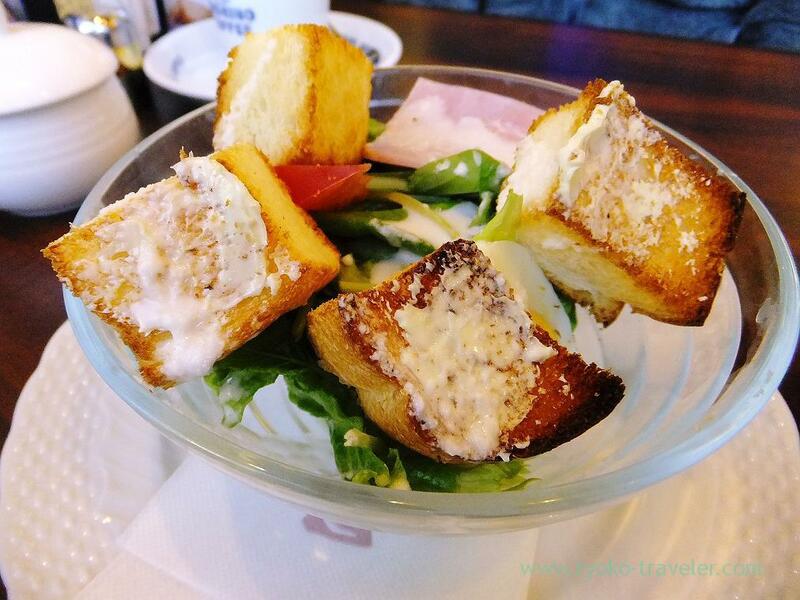 Hoshino Coffee-ten is managed by Doutor that is one of the most popular cafe chain store in Japan. And they have high reputation as pancake. Hoshino Coffee-ten was born in 2011 in Warabi of Saitama prefecture. When I know the existence of Hoshino Coffee-ten, they were still small company. Though their Shinjuku branch is popular, but there weren’t many branches. But they were expanding so quickly in a few years and now they have over 100 branches all over in Japan. And at last, new branch is open in Funabashi tobu connected to Funabashi station that is neighborhood of my living town. Almost all restaurant on the restaurant area of Funabashi Tobu are open at 11 a.m., but Hoshino coffee-ten is open at 10 a.m. and they prepare morning menu. Every drinks have half of a toast and an egg at morning time. Such a valuabe system of cafe in the morning is said “Morning”. “Morning” is a standard system of cafes in Nagoya. But as I said now, they were born in Saitama and did business mainly in Kanto region. They just take the good system of cafes born in Nagoya. And more they serve breakfast set like this, too. Of course, we can order pancake throughout their business hours. 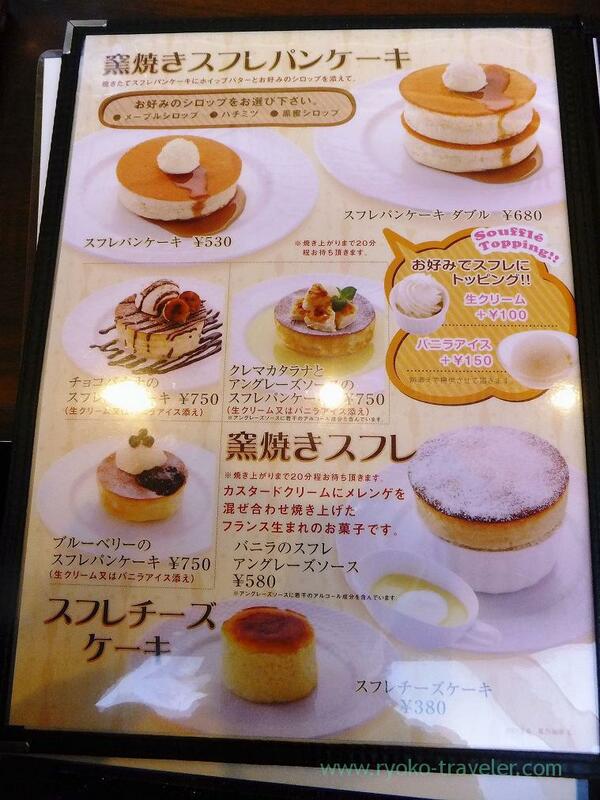 Photos of every pancakes on the menu are cute and looks tasty. 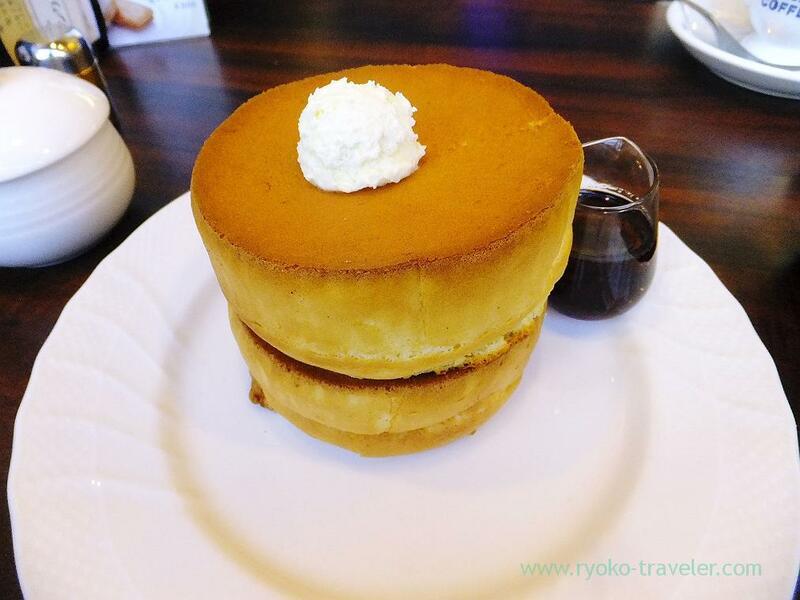 We visited there for the first time, so we ordered a simple pancake. It was really soft pancake like Soufflé. It is so thick, so it takes about 20 minutes to bake. And many people order pancakes, so actually, we have to wait more time. Cute cup. They sell this cup at the cashier. 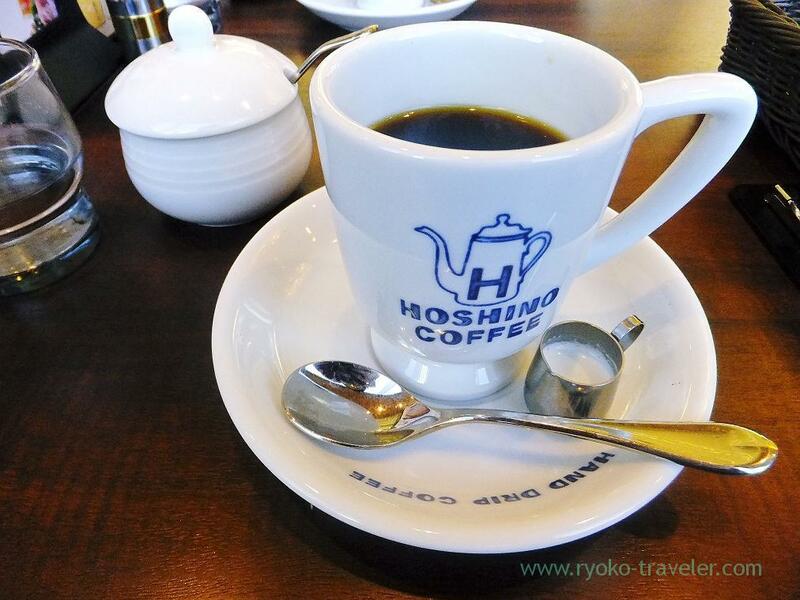 Hoshino Coffee-ten is at many places, Shinjuku, Shibuya, Ginza and so on. Before that, I think pancake boom will end soon…..